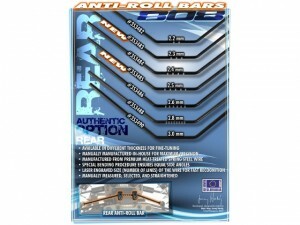 Anti-roll bar wires of different thickness are optionally available for fine-tuning the setup of your XB808. 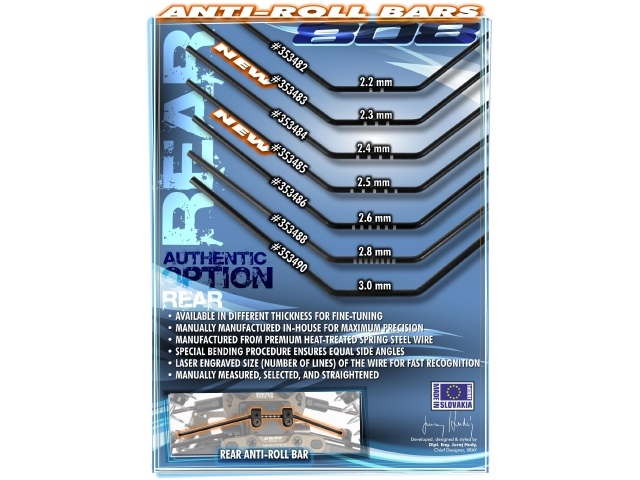 XRAY anti-roll bars are manually manufactured in-house from premium heat-treated spring steel wire using precision bending machines that ensure equal side angles. Manually measured, selected, and straightened to eliminate all tweak. 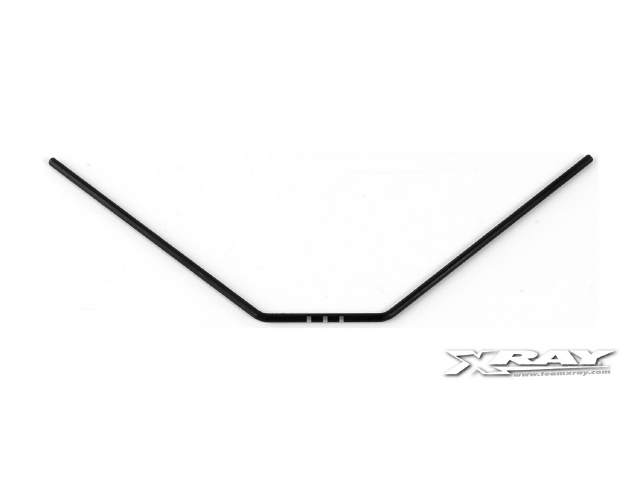 Rear anti-roll bar for XB808, 2.3mm thick. Marked with 3 laser-engraved lines for easy identification. Rear anti-roll bar for XB808, 2.5mm thick. Marked with 5 laser-engraved lines for easy identification.